This Honey Lime Garlic Salmon recipe is worth a try. It is so full of flavor and so easy to make. 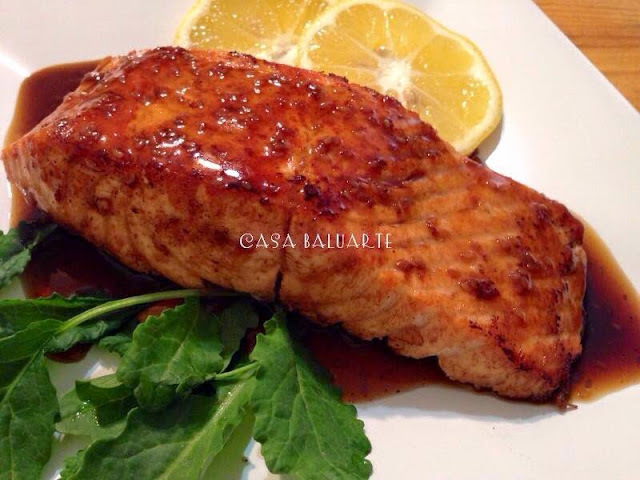 Just simmer the ingredients, pan seared the salmon and top with the sauce and serve. Check out the simple and easy recipe below. 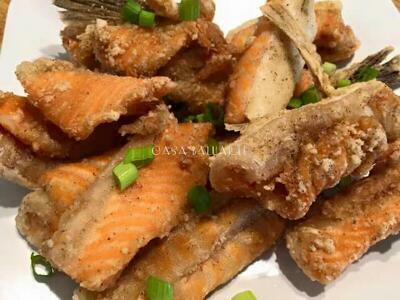 You can also use other white fish fillet or steak if salmon is not available. 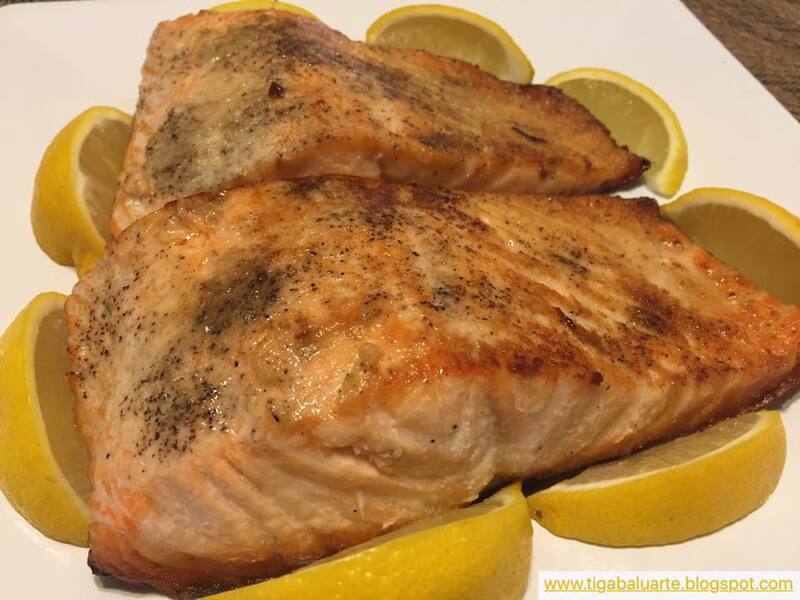 Season salmon fillet with rock or sea salt and ground pepper. Set aside. Using a small sauce pan, melt butter in medium low heat. Once butter is melted, add garlic and stir for a minute. Add lime juice and honey. Stir well and slow cook for 5 minutes or until sauce starts to thicken. Set aside. Using a cast iron pan or any pan, heat in medium heat and add olive oil. 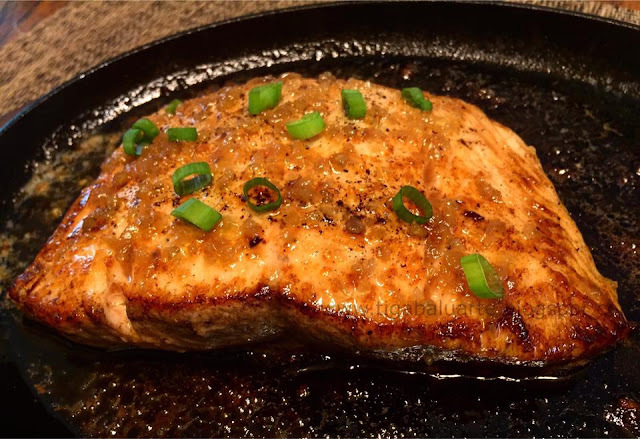 Pan sear salmon in medium heat on each side for 5 minutes or until salmon is fully cooked. Once salmon is fully cooked, pour lime honey sauce on top. Cover pan and cook for 2 minutes. 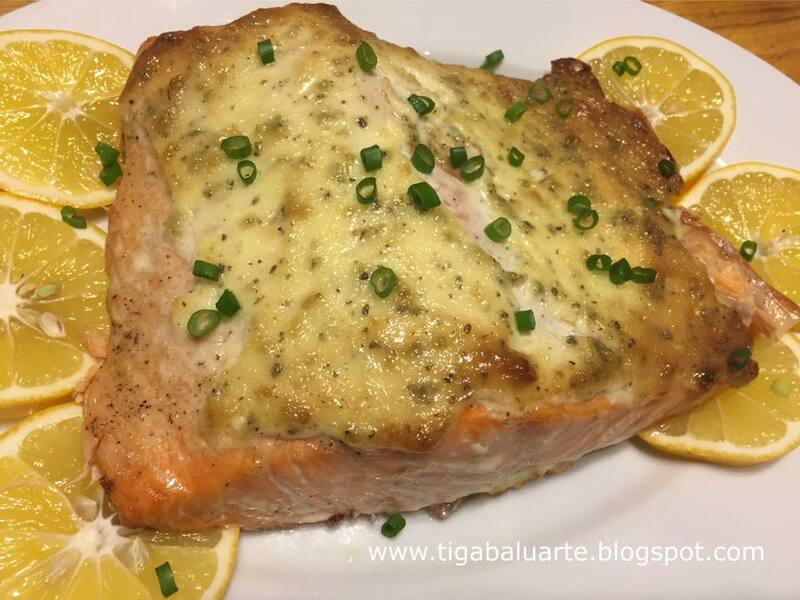 Remove pan from heat and transfer salmon in a serving plate. 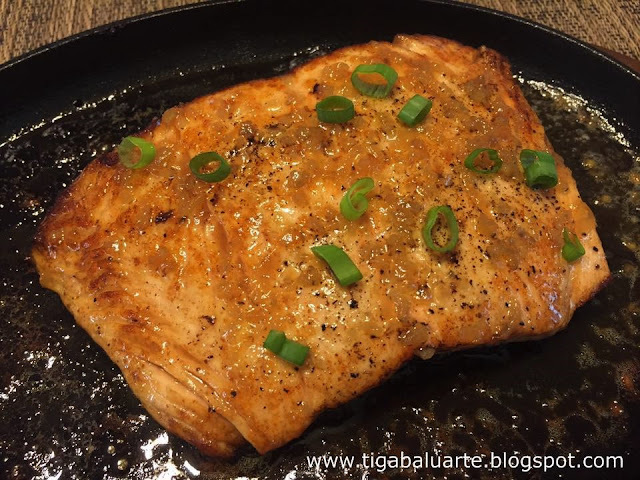 Top salmon with the remaining sauce and chopped green onion.